Individuals getting divorced from a military member should be aware of special rules regarding spousal support. While alimony is determined primarily by state law, there are special provisions that apply to military members. Length of marriage, disabilities and other special considerations. There are many other factors that a court will consider in awarding alimony, and you will want to contact a military divorce attorney in Richmond to discuss the details of your case. Not all alimony awards are permanent. Instead, a military divorce lawyer in Richmond can explain to you that courts typically have discretion to award alimony for varying periods of time. Bridge the Gap. This type of alimony may be appropriate when one spouse needs support for a short period of time, such as to get a car, move into an apartment or finish a degree. Temporary. Temporary spousal support is often awarded to couples who were married for a short period of time or if there is some special need where one spouse deserves support. Permanent. 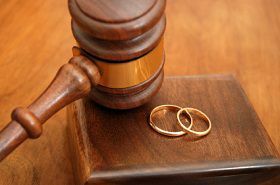 A judge may consider long marriages or circumstances where a spouse is incapacitated in awarding permanent alimony. In addition, a spouse who sacrificed his or her career or primarily raised the couple's children may be entitled to permanent support.